Luxury in Motion offers a premium, 4x4 chauffeur-driven wedding car hire service in Kent. 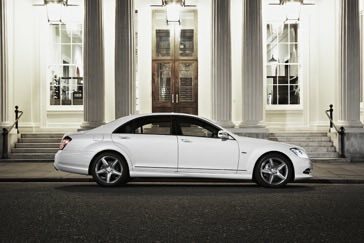 We provide professional chauffeurs on your wedding day and have a wide range of 4x4 luxury vehicles available for wedding car hire. We primarily serve Kent, Surrey, Berkshire, Hampshire, Buckinghamshire, Sussex and London. Our fleet includes the most prestigious 4-Wheel Drive car marques including Range Rover and Land Rover models. We can also supply a fleet of matching 4x4 vehicles, vehicles for your evening guest transportation, or honeymoon airport transfers. To reflect the nature of the wedding market, we offer discounts for wedding car hire on weekdays, or during the winter months and can also organise transport home for your evening wedding guests, or airport transfers for your honeymoon.